The chair of Derry and Strabane Rural Partnership William Lamrock has urged businesses in rural areas to take advantage of two new funding schemes.. Mandatory pre-application workshops for the rural basic services scheme and the rural broadband scheme will be held later this month. “These are potentially great opportunities for rural areas, a Small Grant under the Rural Basic Services Scheme could fund small-scale investments such as equipment or refurbishment to open up access to services that are currently absent or difficult to deliver in rural areas," Mr Lamrock said. “We are also delighted to be opening an expression of interest process for the Rural Broadband Scheme so that we would be ready to open a call if this scheme progresses. The mandatory pre-application workshops for both schemes will begin on Thursday, June 21 at 7pm on Glenelly House, Plumbridge, Friday, June 22 at 10am in Strabane Council Offices, Monday, June 25 at 2pm in St Columb’s Park House, Derry and Tuesday, June 26 at 7pm in Derg Valley Care, Parkview Road, Castlederg. Speaking ahead of the workshops Mayor of Derry City and Strabane District Council, Councillor John Boyle, urged the local rural community to discover if they can benefit from the funding. “These schemes are designed to support and develop rural communities, helping them to make a real difference in rural areas and providing crucial support in a challenging economic climate,” he said. The Rural Basic Services Scheme is now in its third call, the latest of which is for small grants only (£10,000 - £50,000) and seeks to support innovative ways of delivering services in rural areas. The scheme would be ideal for small-scale capital projects such as refurbishment to a building or equipment that would allow a group to provide a service that is currently absent or difficult to access. Eligible projects must be part of a cluster with at least three partners, meet the overall priority of ‘Health and Wellbeing’ and include at least one absent or difficult to access service. The Rural Broadband Scheme is opening for expressions of interest to identify potential interest in small-scale community broadband pilot projects. 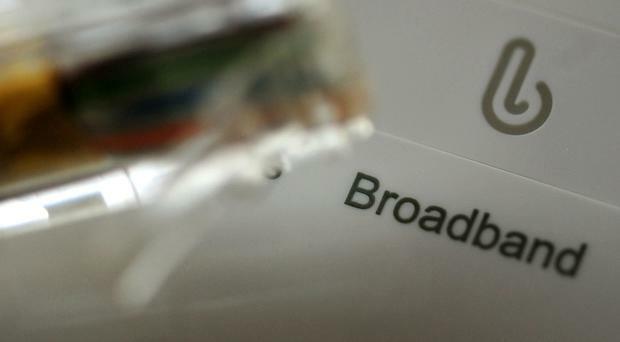 Funding of up to £100,000 per project may be available for community-led solutions to broadband enable ‘not spots’ in rural areas where there is no access. The scheme is not aimed at individuals, the solution must be for the broader community. The Expression of Interest process is being progressed pending further details of the proposed Government Broadband funding of £150m for Northern Ireland, if that scheme progresses it may offer a solution to rural ‘not spots’. The Northern Ireland Rural Development Programme 2014-2020 is funded by the Department of Agriculture, Environment and Rural Affairs (DAERA) and the European Union with £7.54 million allocated to the Derry and Strabane Council area.